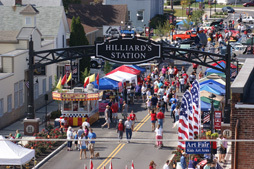 The 26th annual Old Hilliardfest coming up on Saturday, September 10 will feature live entertainment on five stages, an art fair with more than 50 artisans selling their wares, hands-on art activities for youth and adults, a sunflower show, a street fair, kids’ games and rides, a car show, food and more! The event is held in historic Hilliard and is infused with hometown charm! The Old Hilliardfest Art Fair will offer a wide range of wonderful professional art for sale. Exhibitors pass a jury review to participate and all work at a professional level. Festival-goers will find dramatic jewelry, handsome ceramics, wood works, watercolors, photographs, prints and much more! Be sure to stop by to see the art sculpture created by Dale Johnson of Ohio. The Hilliard Arts Council presents this unique festival that offers something for everyone—all ages and demographics. When: Saturday, September 10 from 10 a.m. to 5 p.m.
Where: Norwich and Main Street in downtown Hilliard, Ohio 43026 (one address is 5274 Norwich for mapping directions). For more information: Admission is free. Complimentary parking is offered around the event. For more info, email kbrenneman@hilliardartscouncil.org, call 888-980-2787 or visit www.oldhilliardfest.org. Traveling to the Wexner Center from the Smithsonian American Art Museum, Alexis Rockman: A Fable for Tomorrow is the first major survey of this acclaimed painter’s post-apocalyptic work. The show features nearly 40 vivid paintings from the past 25 years, including several of Rockman’s monumental pieces that tackle environmental issues. Mixing fact and fantasy, Rockman explores genetic engineering, deforestation, climate change and more with virtuosity and wit. While some of the works are intimately scaled, others are up to as large as 24 feet in length. Don’t pass up this chance to see this artist’s stunning paintings in its only stop outside of Washington, D.C. When: September 16–December 30, 2011. An opening event will be held September 15, 7:30–9:30 p.m. (members’ preview 6–7:30 p.m.). Rockman will give a public talk November 8 at 7 p.m.
Where: Wexner Center for the Arts at The Ohio State University, 1871 N. High St.
For more information: Visit wexarts.org or call 614-292-3535. 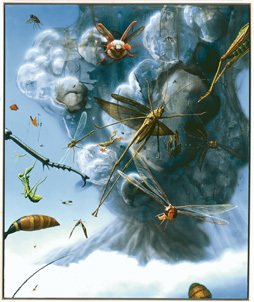 Image: Rockman's Cataclysm, courtesy of Wexner Center. See the faces of worldwide talent right here in Columbus! 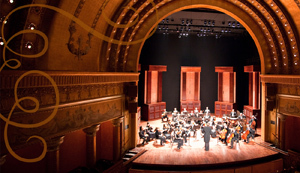 ProMusica Chamber Orchestra’s 33rd season brings renowned guest conductors and captivating guest artists to the intimate stages of the Southern Theatre and the Pontifical College Josephinum throughout the 2011-2012 season. An additional subscription series concert and a special New Year’s Eve celebration offer more excitement than ever. Be part of enriching and adventurous performances that spotlight distinguished musicians and showcase a magnificent little orchestra! Janet Chen, Executive Director of ProMusica, encourages new and returning audience members to experience ProMusica this season, stating "we have so many stunning guests to feature and programs to offer that we've added a concert to the 2011-2012 season! I am especially excited about our first New Year's Eve concert to not only toast to 2012 but also to ring in the Columbus Bicentennial. There will also be several new faces at the podium leading the orchestra, so I hope everyone can attend all the concerts and participate in this exciting time for ProMusica." Getting the full ProMusica experience is more affordable than ever with this season’s New Subscriber Rate! Individuals who have not subscribed to ProMusica in the past three years receive up to 48% off their package of six or seven concerts. Opening Night: Sunday, October 9 at 7 p.m.
Voices from the Gallery: Saturday, November 12 at 5:30 p.m. and Sunday, November 13 at 7 p.m.
Messiah Sing-Along: Friday, December 9 at 7:30 p.m. Seasonal Surprises: Saturday, December 10 at 5:30 p.m. and Sunday, December 11 at 7 p.m. Celebrate! A New Year’s Eve Concert: Saturday, December 31 at 8:30 p.m. Happy Year of the Dragon: Saturday, January 21 at 5:30 p.m. and Sunday, January 22 at 7 p.m.
Past Meets Present: Saturday, February 18 at 5:30 p.m. and Sunday, February 19 at 7 p.m.
Beethoven & Beyond: Saturday, March 10 at 5:30 p.m. and Sunday, March 11 at 7 p.m.
Irish Melodies: Saturday, March 17 at 5:30 p.m.
A Theme on B-A-C-H: Saturday, April 21 at 5:30 p.m. and Sunday, April 22 at 7 p.m.
Spring Soiree: Friday, May 11 at 8 p.m.
Click here to see the full 2011/2012 season performance listings and details. Where: Southern Theatre, 21 East Main Street, Columbus, OH 43215. Some performances in 2012 will take place at Pontifical College Josephinum, 7625 North High Street, Columbus, OH 43235. For more information and/or tickets: info@promusicacolumbus.org, 614-464-0066 or visit www.promusicacolumbus.org.